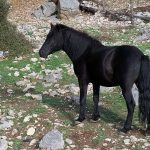 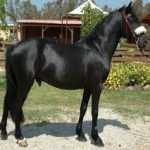 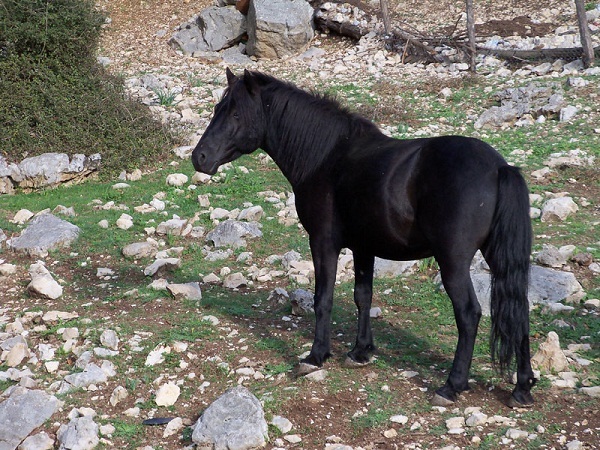 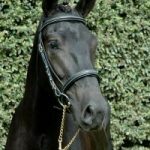 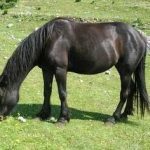 The Esperia Pony, originating from the Italian province of Frosinone, Lazio, is a breed of robust and lively ponies known for its horse-like big stride and use in equine sports. 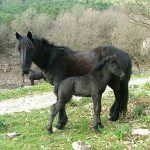 These ponies can adapt well to its native environment, as they are tolerant of heat and cold, capable of surviving without water for days. 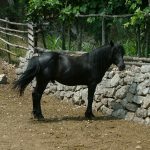 These ponies evolved as a result of a selective breeding program that was undertaken by the Baron Ambrogio Roselli di Esperia. 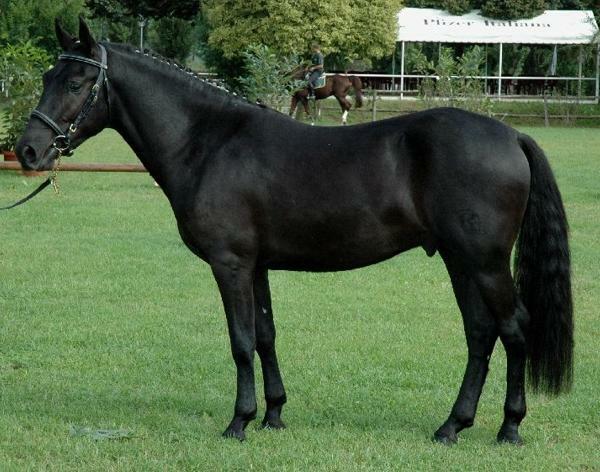 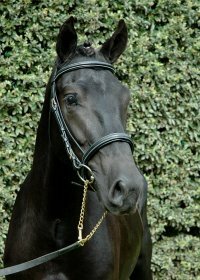 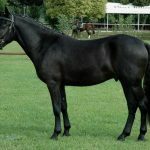 In order to improve the local horse and pony population, several Italian horses including the Salerno stock were added. 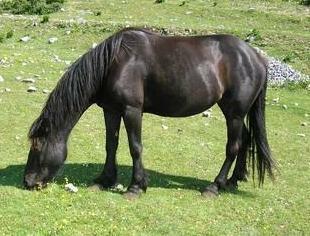 However, these animals failed to adapt to the harsh conditions of the Aurunci and Ausoni Mountains. 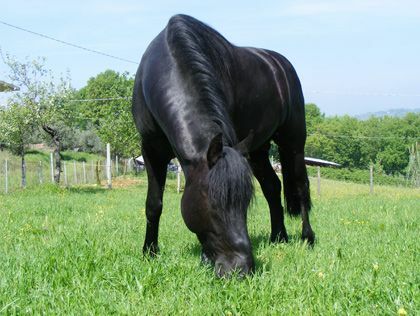 In 1840, Roselli bought 4 Turkish mares and a stallion, which adapted well and integrated into the local horse population. 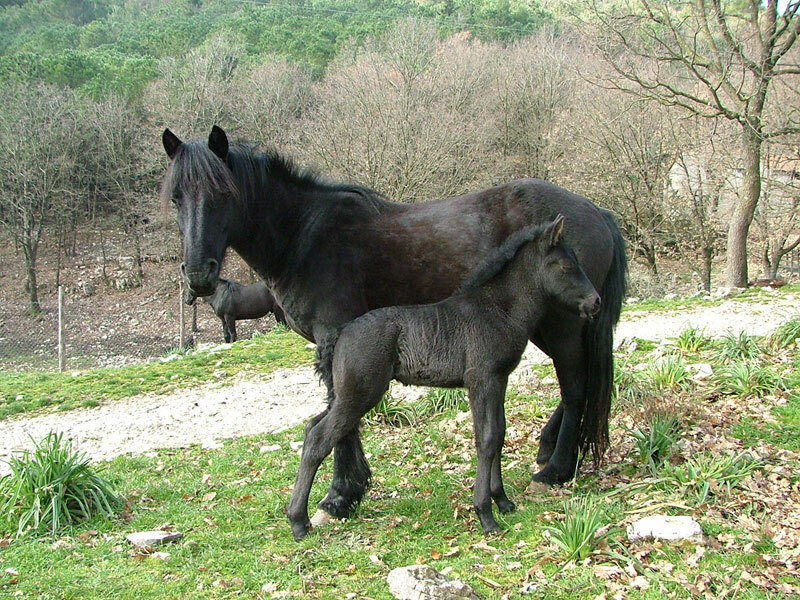 The Esperia ponies developed and thrived, but since the Second World War, their numbers started declining, as they were extensively used as a source of meat as well as by the military for setting off mines. 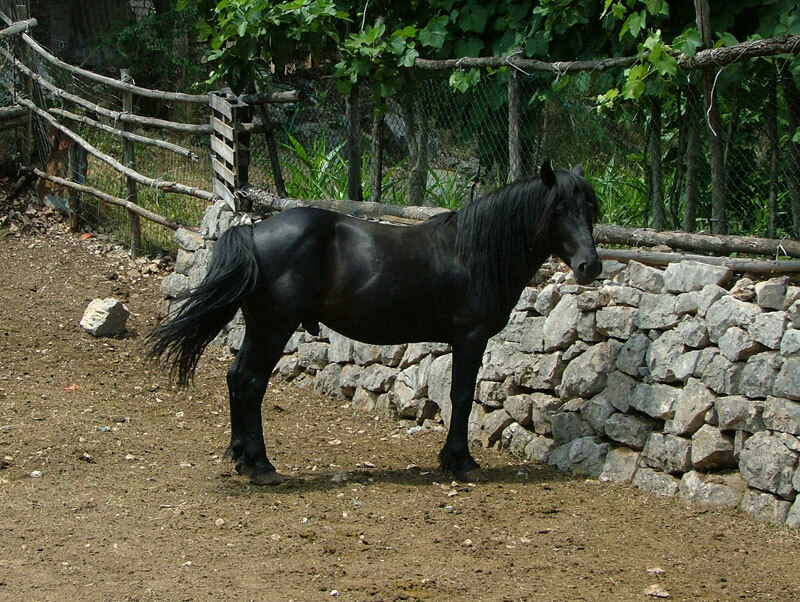 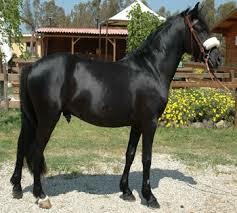 They got official recognition in 1962, and the breeders started producing these ponies at many places in Italy. 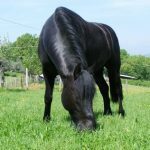 A breed standard was also adopted in 1993.